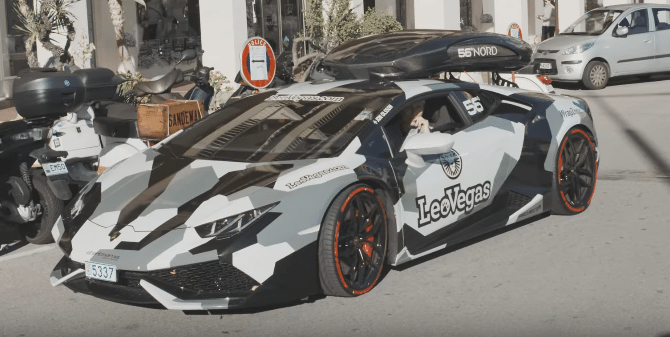 A while back we brought you news that Jon Olsson had picked up his new supercharged Lamborghini Huracan that puts out at least 800hp, and it sounds even better than it looks. Speaking of looks, it has a similar camo pattern that most of Olsson’s past vehicles have had as well as the ski boxes on top. He is a professional skier that makes a lot of sense. Interestingly Olsson actually designed the entire camo pattern himself. 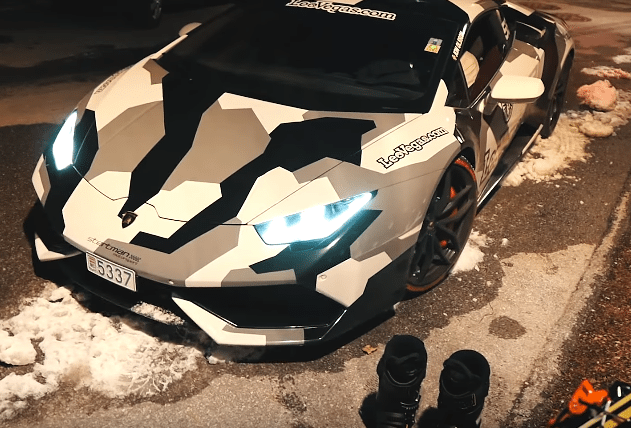 If you remember, this particular Huracan is fitted with forced induction, but not the twin turbo systems that have become a common thing thanks to aftermarket tuners like Underground Racing among many others. Instead, it’s fitted with a supercharger from VF Engineering as well as a whole list of other goodies & upgrades. I know a lot automotive enthusiasts look down on forced induction for a variety of reasons, but if you’re going to add power in one way or another, you may as well look into supercharging because it tends to be more reliable. Olsson plans on using this car as a daily driver so reliability and driveability are very important qualities. With a twin turbo system, you need to wait for the turbos to spool up before you get that jolt of power, which is usually higher in the RPM range. However, with a supercharger you get that boost of power at all RPM ranges because it runs right off the engine itself. What that means is the powerband is going to be much more predictable and easier to control, and therefore much more pleasant to drive in everyday situations. But when you want that extra boost it’s always there ready and waiting for you to put your right foot to the floor. I’ve been a huge fan of Lamborghini since I was a kid and had multiple Countache posters hanging on my walls so I very well could be biased. With that being said, I think this Monster Lambo is absolutely gorgeous in almost every way. I even like the camo which is not something I’m usually fond of. But what really does it for me is the way this supercar sounds. Olsson said he was very particular about this aspect of the car, he said he wanted it to sound as good as it possibly could. He ended up choosing an exhaust system from AKRAPOVIC. I solid choice if I might say so myself. When we first learned about this Monster Lambo there wasn’t a whole lot of action with the car. However, Olsson being an avid car enthusiast wasn’t going to leave us hanging. So he ended up doing a whole webisode dedicated strictly to this magnificent machine. Pay attention to the intoxicating sound coming from that supercharged 5.2L V10 as Olsson take the old girl out for a canyon cruise.